Clark Planetarium leaves people in awe of the wonders of space, including the mysteries of our own planet! 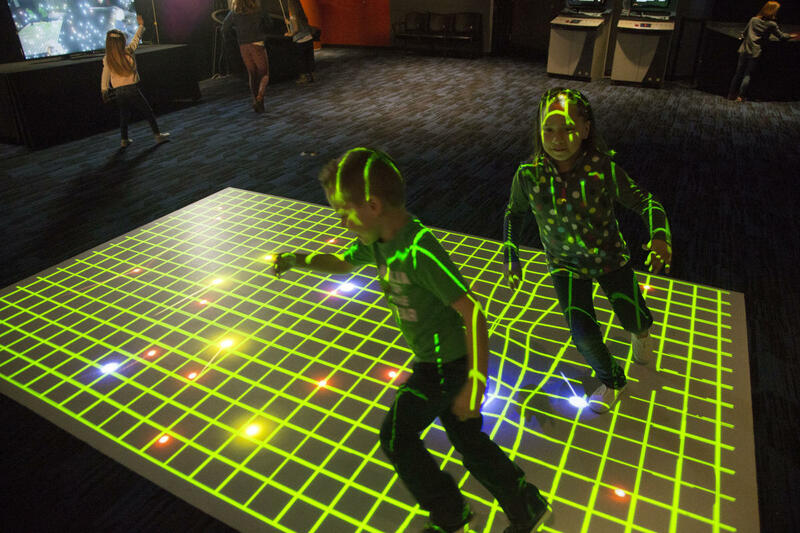 Explore some of these mysteries through the interactive exhibits, science demonstrations, and educational movies. 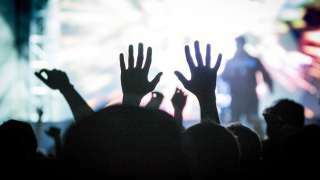 Shows cost less than ten dollars and members watch for free. Visit clarkplanetarium.org for a full list of show times. There is no cost to enter Clark Planetarium and explore the 10,000 square feet of exhibit space, seven days a week. 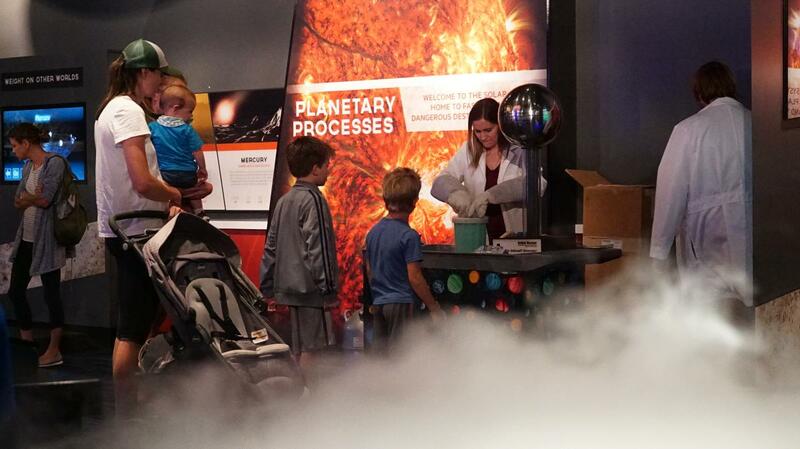 Exhibits are interactive and fun for all ages, helping guests explore real scientific phenomena. Be prepared to launch through the solar system when you touch real meteorites and view a Moon rock collected by NASA astronauts. The big screen makes a big impression when watching an IMAX 3D documentary about the solar system or origins of earth. You could find yourself dodging stars or following fish as they swim in the ocean. Our IMAX movies take the audience on a journey through space and adventures in Earth science. Playing now: The Story of Earth, VOLCANOES: Fires of Creation, Beautiful Planet, and Extreme Weather. Dome shows are an experience like none other. This fully immersive theater surrounds the audience with its 360-degree screen, offering astronomy shows and night-sky presentations. Every Saturday night is Night Vision, a curated show where dome staff present on local astronomical topics and take audience questions. 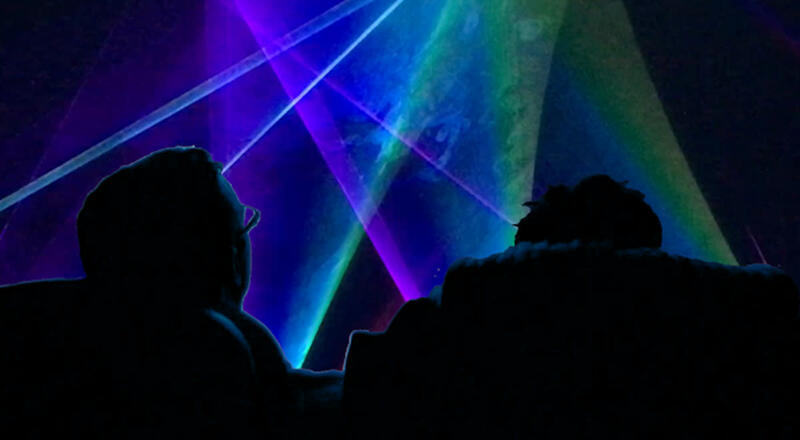 Catch a Cosmic Light Show where the technicians combine the music you love with a mind-blowing laser light show and full-dome CG experience. Playing now: Ultimate Universe, Incoming, Explore, and Black Holes. You will see educators in lab coats as they conduct eye-catching science demonstrations in the lobby. As any kid can attest--fire tornados and air cannons make learning exciting. These hands-on activities are great for all ages. If you are looking for fun activities in downtown Salt Lake then Clark Planetarium is perfect for you!